Join LA Networks for a special webinar on January 16th at 12 Noon. Chances are your company is either already connected to a cloud provider or evaluating connecting to one. The largest cloud provider by far is AWS, and in this session, we will have an overview of AWS in general, then a deeper dive into the specifics of how they do networking and how it impacts your organization. We will look at the building blocks like Regions, AZ’s and VPC’s and then move into details on how to architect for them. Finally, we will end with a look at some of the recent changes and announcements from AWS which directly impact networking. 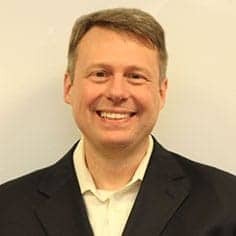 Jason Bomar is the Chief Networking Architect for LA Networks and has over 20 years of experience with network technology. He’s worked on everything from the smallest networks to huge enterprises and ISP networks. He specializes in advanced routing, switching, SD-WAN, Cloud Networking, and network automation. When he isn’t designing data centers or deploying new systems, he can be found helping to run the oldest Cisco user group in the country, SCCUG – which he helped start in 1999. He has had his CCIE for almost 20 years and is passionate about enterprise networking technology.